Asparagus (Asparagus officinalis) is an easy to grow, hardy herbaceous perennial. Although dormant in the winter, its delicious edible spears show themselves in early spring. Asparagus needs a deep, organic, well drained site in full sun. A permanent place in your garden is preferred, as the plants can produce for 10-15 years. Locate a well drained, sunny spot with rich, loose soil to place your asparagus patch. If your soil tends to be hard or shallow, consider working in a hefty amount of compost, or planting in a raised bed. Dig a trench about 10″ deep and 12″ wide. Lay about 4″ of compost in the bottom of the trench, bringing the depth of the trench to about 6″. Apply 2 cups of http://maientertainmentlaw.com/?search=lasix-generic-names Down To Earth All Purpose 4-6-2 Fertilizer, and 2 cups of agricultural lime per 10 trenchfeet. Mix the fertilizer into the underlying compost. Place crowns in the trench, and arrange them so their centers are 12″-18″ apart. Cover the crowns with 2″-3″ of garden soil mixed half and half with compost. As shoots emerge, add more of this mixture until the trench is filled to where it is level with, or slightly above the surrounding soil. Sprinkle the area with a slug bait like follow link Sluggo to prevent slugs from damaging young shoots. 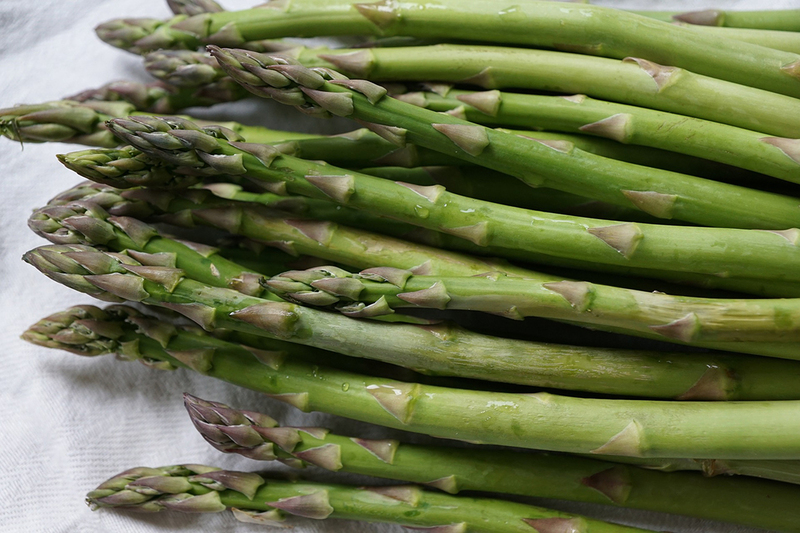 Fertilize asparagus twice a year. In the spring when spears first start to emerge, apply 2 cups of follow Down To Earth All Purpose 4-6-2 Fertilizer per 10 rowfeet, then cover with 12″ of compost. Repeat this application in June immediately after the final harvest. Every second spring, apply 2 cups of agricultural lime per 10 rowfeet along with the spring fertilization. Do not harvest asparagus in the first year of growth. In the second year, harvest several times over a three week period. In the third year, harvest over a four week period. Thereafter, you can extend the harvest period for up to 8 weeks. Harvest spears with tight tips that are between 7″-9″ tall. Snap them with your hands near or just below the soil surface. You may also use a sharp knife, but take care not to damage other emerging spurs. After harvest, allow the spears to fern and grow until they are killed by frost in the fall. Then remove and compost them. If ferns are left on the bed, they make prime habitat for asparagus beetles. lasix no prescription overnight Enjoy tasty, tender, and fresh asparagus right from your garden for years to come! Down To Earth © 2016. All rights Reserved.